Click on photos to see a larger image. 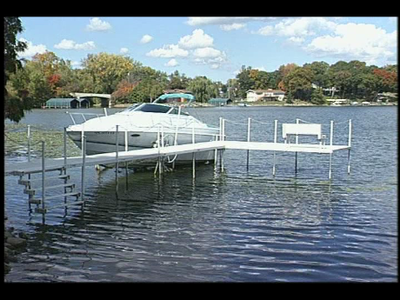 What Makes A Solo Dock Unique? Tip your dock in without getting into the water. 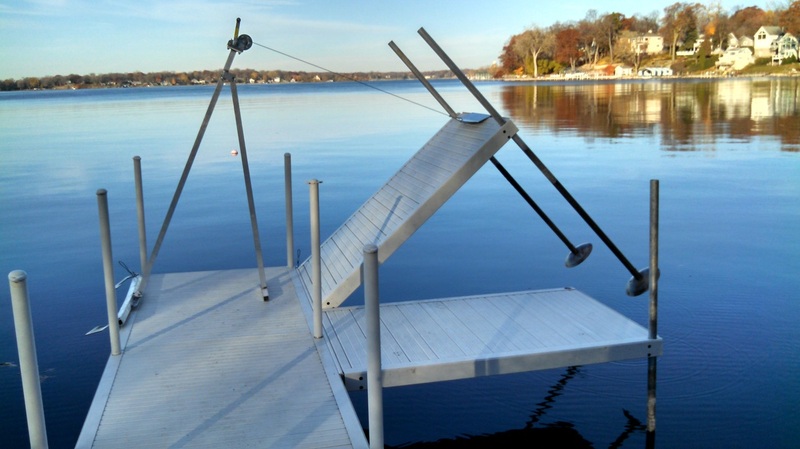 Remove without getting into the water. Level and raise the dock without getting into the water. 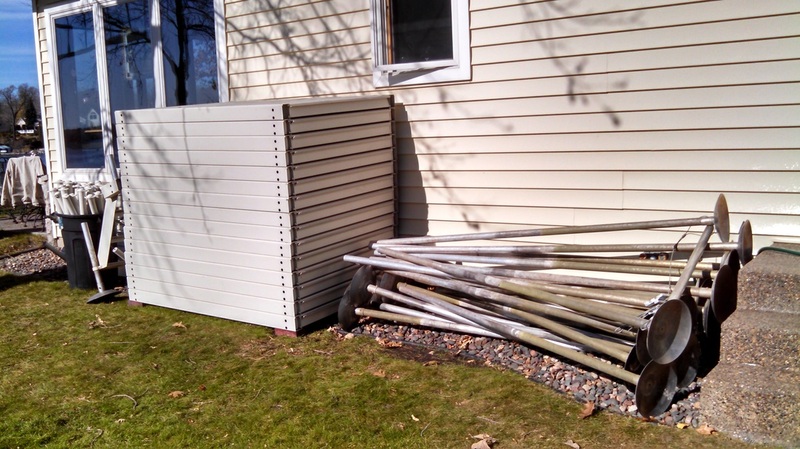 Sections stack neatly in a small space. 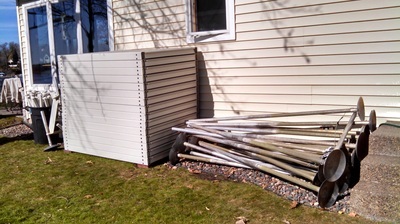 This stack represents 90 feet of dock. A simple hinge securely locks sections together without tools. 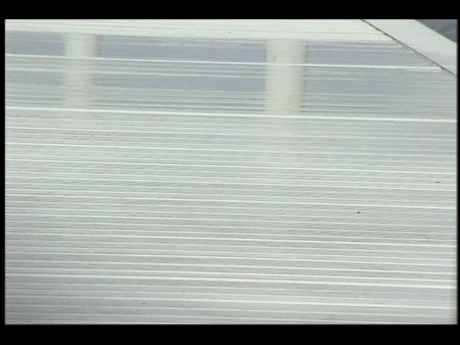 The leg locks tighten securely around the posts, and are set in to prevent damage to boats. 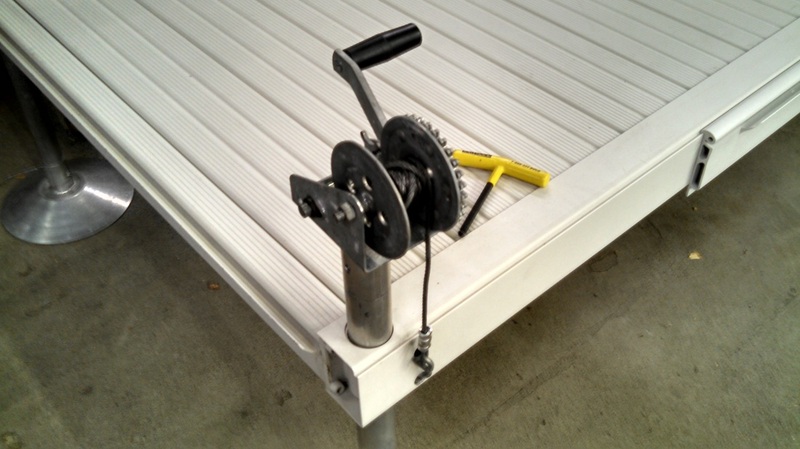 Leg locks won't damage posts, and replace set screws. 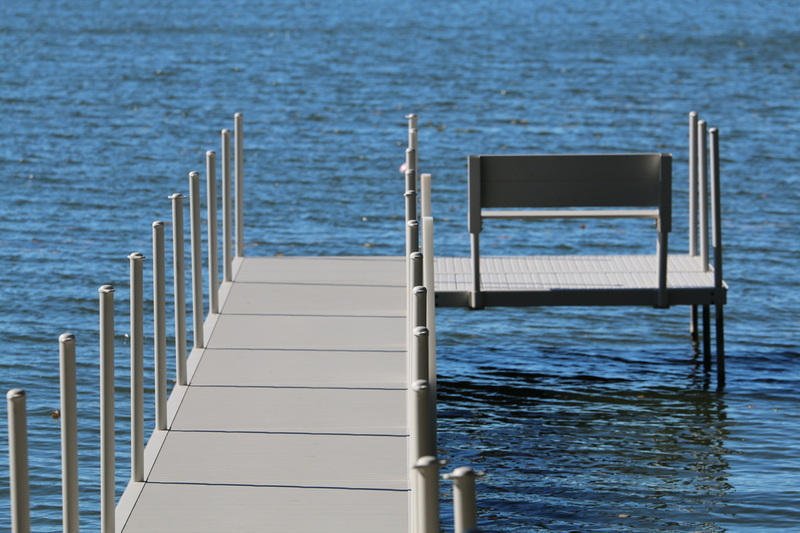 All aluminum construction -- Built to be the last dock you will ever buy. 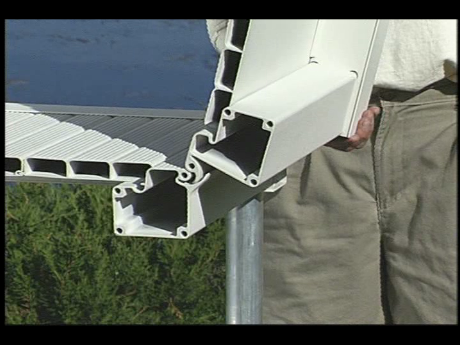 Aluminum deck has a cool, white, durable, powder coated finish. 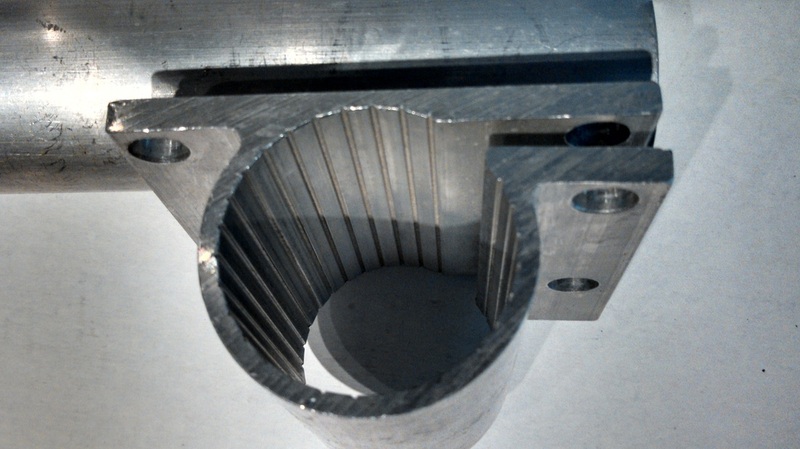 High strength aluminum posts -- 1/16" wall thickness, or 1/8" for deep water. Side-mount hinges make a 90 degree corner, and attach stairs. 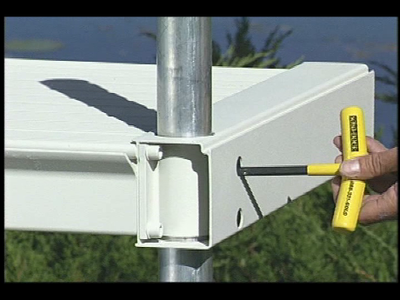 Install with only a leveling winch, level and t-handle wrench. 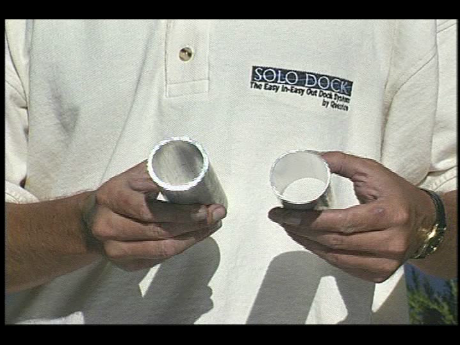 Decorative post covers give a uniform appearance. New Side Mount Post Brackets allow lakeshore owners to drive or auger a post into the lake bottom. 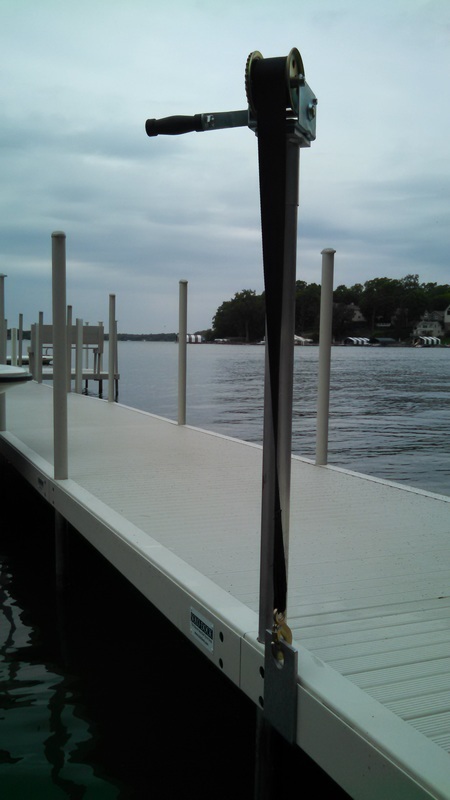 After installing the Solo Dock, attach a bracket and either pound the post into the lake bottom, or use our auger attachment and auger wrench to screw the post into the lake bottom. 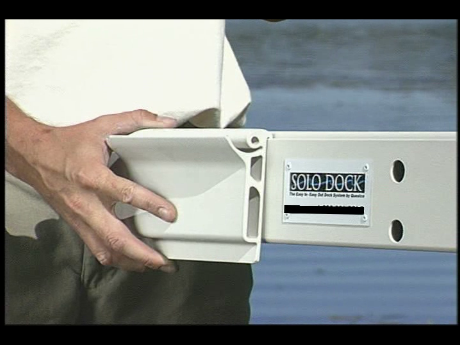 Solo Dock is a "quiet" aluminum dock because the deck is a solid extrusion (not hollow), and the the dock section is a one-piece design. 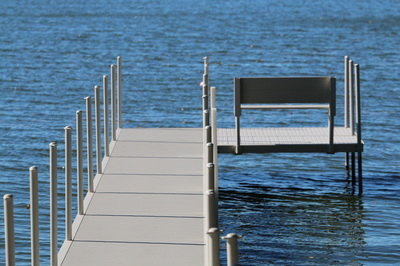 Other manufacturers sell docks with separate hollow aluminum decks which lay on top of the metal frame. 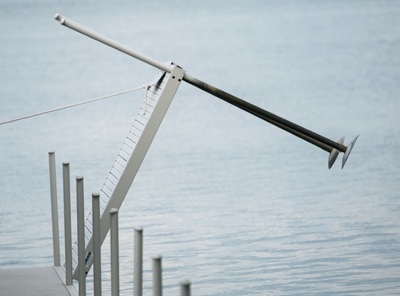 These separate pieces move and create noise when dogs and kids run down the dock.